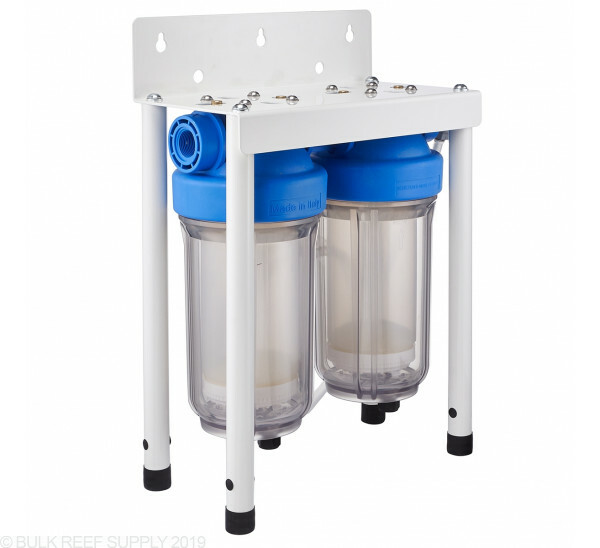 Keep excess CO2 out of your reef tank with the BRS DUO Jumbo CO2 Scrubber! Carbon Dioxide (CO2) can directly affect the pH of your aquarium, and with a low pH, corals may not grow as fast. 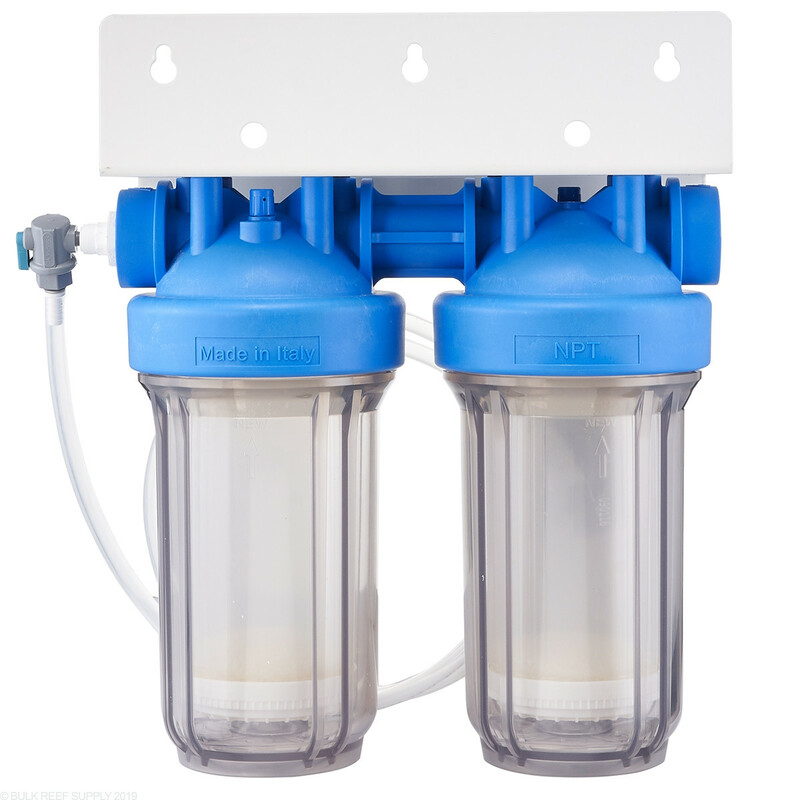 Connecting a CO2 scrubber directly to the venturi on your skimmer along with CO2 absorption media you can control the amount of CO2 that is being sucked into your skimmer, effectively raising the pH of your tank by removal of excess CO2. CO2 is by far the number one cause to low pH in household aquariums. Ambient CO2 can vary from building to building and depending on your location it may not be practical to keep your windows open or pull fresh air from outside into the skimmer. 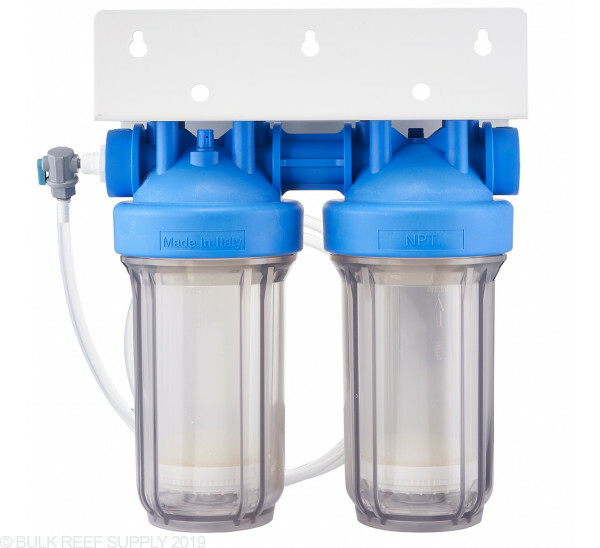 By relocating your protein skimmer's air intake from the silencer over to the CO2 scrubber can actually increase your tank's pH by a couple points. Depending on the amount of ambient CO2 in the room it is not uncommon for tanks to raise from 7.8 pH up to 8.3 pH within a couple of days but results can vary. 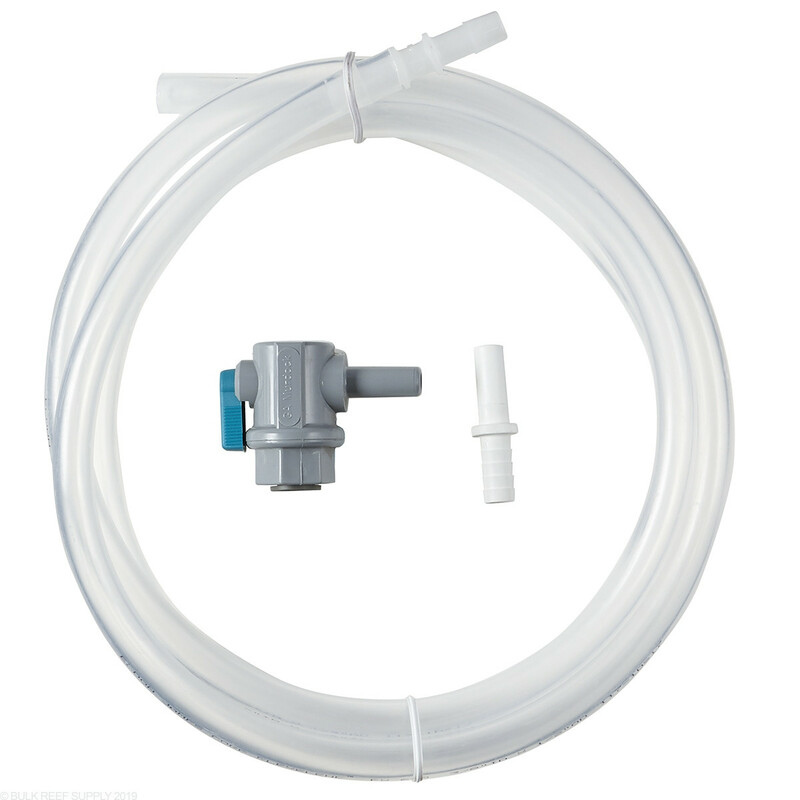 Connect the included 3/8" tubing to your protein skimmer's air intake and the output side of the reactor. 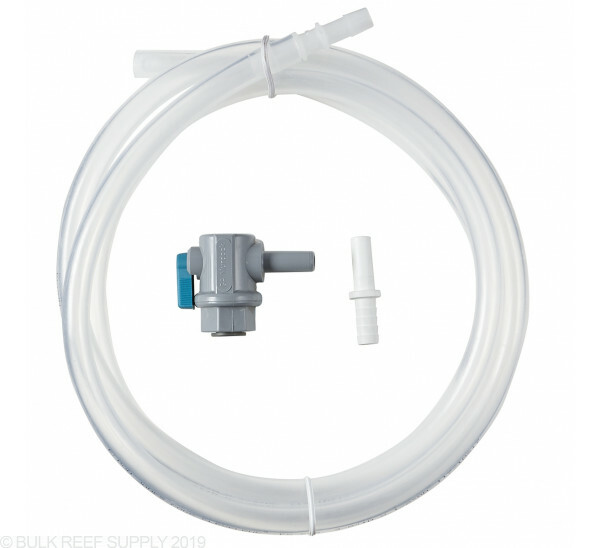 It is usually easiest to remove your skimmer's silencer and directly attach the CO2 Scrubber tubing your pumps venturi. 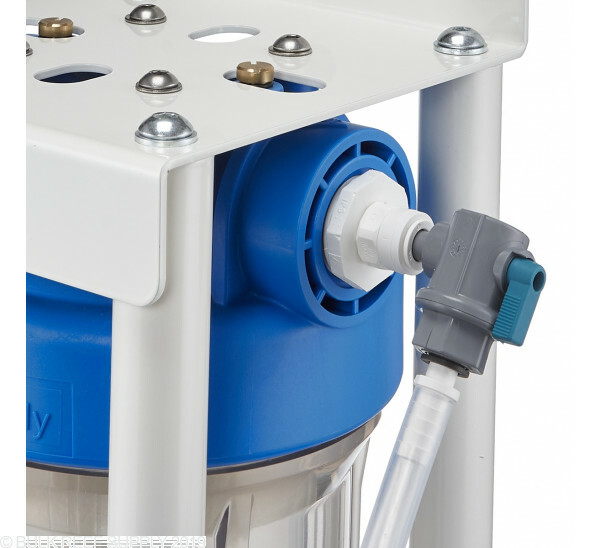 Unscrew the body from the head of the reactor and remove the refillable cartridge. Add 1 to 2 Tbsp of RODI water to the bottom of the reactor body making sure that it does not touch the CO2 media when the cartridge is replaced. 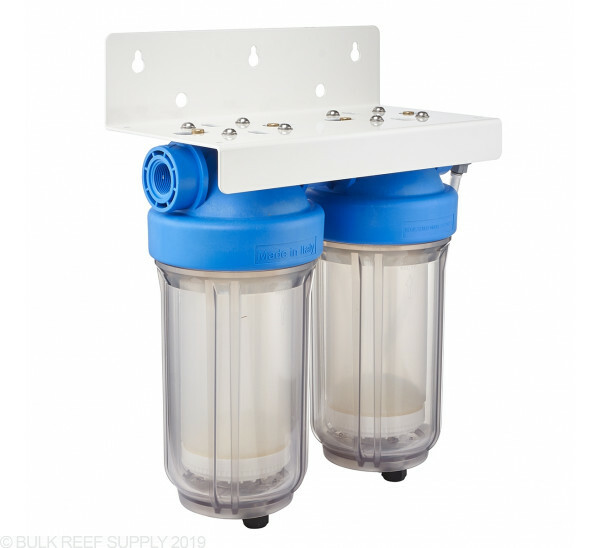 Completely fill the refillable cartridge insert with your preferred CO2 absorbing media and place back into the reactor housing. 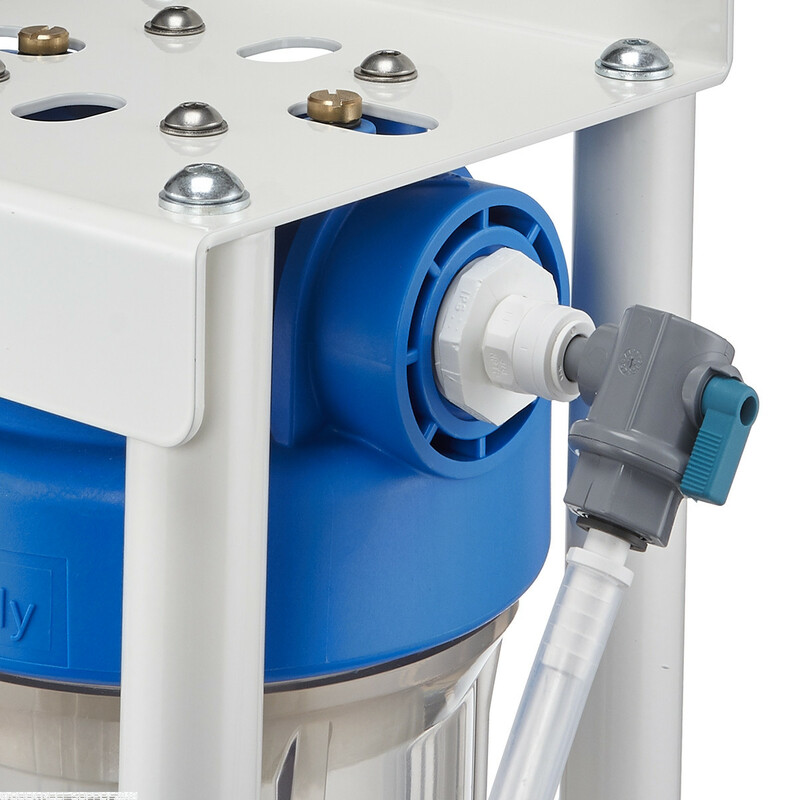 Monitor your tank's pH hourly for the first couple days of use. 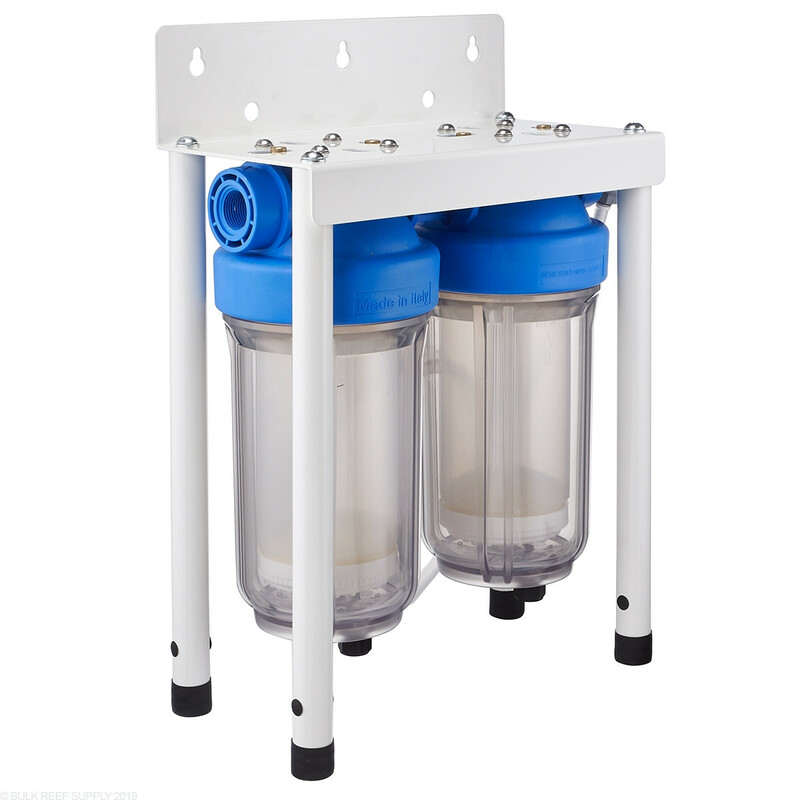 When your pH starts to drop in value (usually 2-8 weeks depending on tank size and CO2 concentration) you will need to replace the media. Most CO2 absorbing media will have a color changing indicator to let you visually see when it has depleted and needs to be changed. 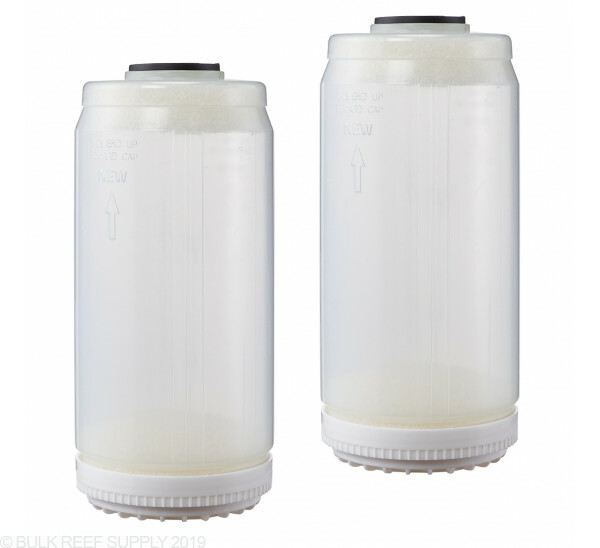 Refillable Cartridge Size - 4.5" x 10"
I love the look and functionality of this CO2 scrubber. I know that DIY CO2 scrubbers are much cheaper. However, some of my equipment is behind the stand in the living room and I like the looks of this one. It also a smaller footprint than my previous DIY attempt. I purchased the version with the lets. 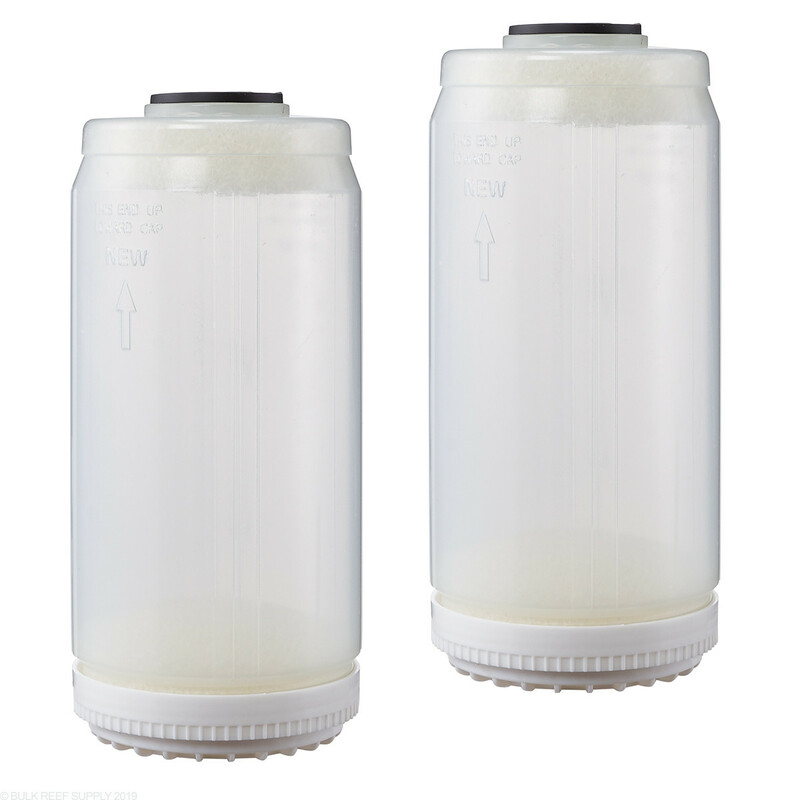 How much volume of media can fit into the jumbo canister as compared to the Universal canister? 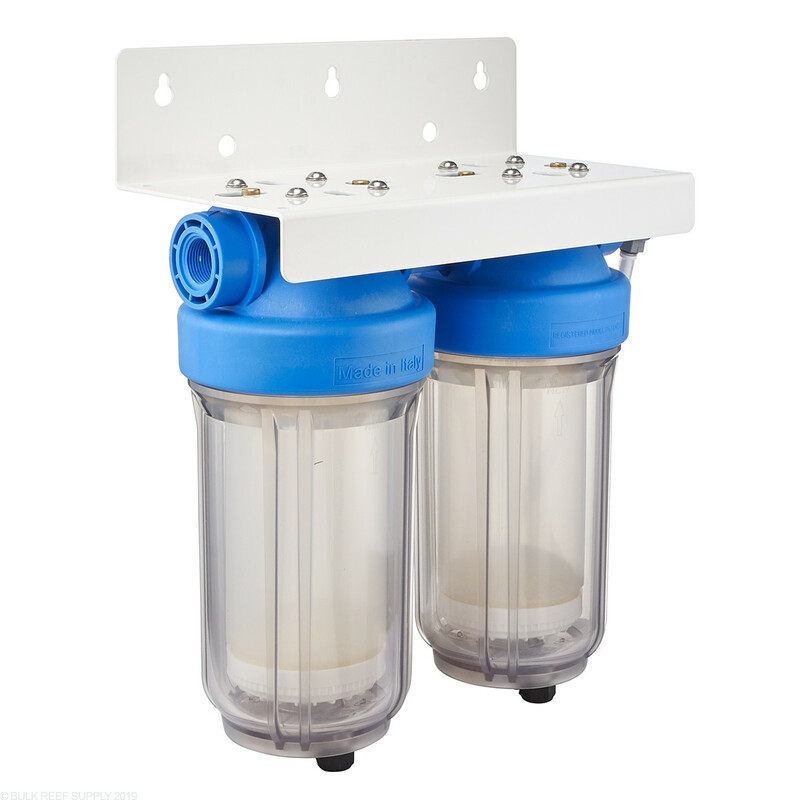 Our universal CO2 scrubber holds ~3 cups of media whereas our jumbo canisters are double this at ~6 cups of media each (so the DUO Jumbo CO2 Scrubber holds 12 cups total).